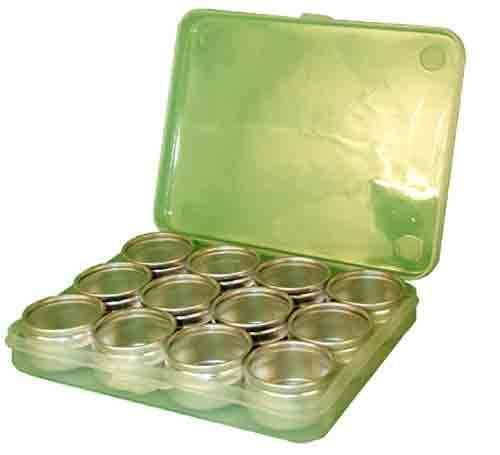 12 aluminum containers 1-1/4" diameter with clear tops in a plastic storage box. Great for small parts, beads, etc. India.